﻿ All eyes on the Bernabéu: One last step to the final! 04.05.2016 » All eyes on the Bernabéu: One last step to the final! Real Madrid are just one step away from the Champions League final, but in order to get there, they still have to go through Manchester City tonight at the Bernabéu. Who will succumb to pressure? The last ticket for the UEFA Champions League final will be earned tonight, as Real Madrid and Manchester City prepare to clash at the Bernabéu after coming off a goalless draw last week in England, in the semifinals first leg. Ready or not, Cristiano Ronaldo certainly won't be missing this decisive and massive game for Madrid, hoping that his contribution may help his side guaranteeing a place in the Milano final, scheduled for May 28. Awaiting tonight's winner is already Atletico Madrid, who got through Pep Guardiola's Bayern Munich at the other semifinals of the competition. Stakes just couldn't be any higher than this! Today is D day. The day that will largely go towards deciding whether or not this season will go down as a success or a failure. A week ago, Real Madrid were unable to get a crucial away goal against Manchester City and now the must win at home to advance. That said given, Madrid's fantastic home record in the UEFA Champions League this season (5 games, 5 wins, 18 scored, 0 conceded) is reason enough to make us optimistic for tonight. However, injuries to key players still make this matchup a tough one to predict. 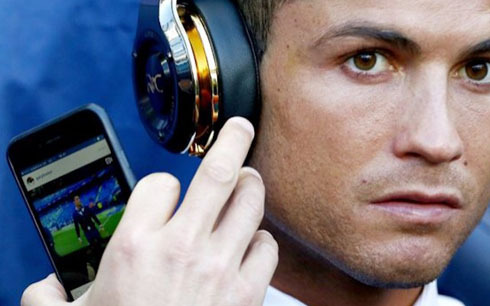 Cristiano Ronaldo is set to play, though one wonders just how fit he really is. Casemiro unfortunately is out, which leaves a massive dilemma for Zidane in the center of the park. The Brazilian midfielder has been a massive cog in the Madrid 2016 machine and he's provided the kind of defensive cover that was sorely missing before. Now and without him, Zinedine Zidane has to decide whether to play one of the center backs in holding midfield, or if to opt for a more attacking lineup with Isco coming in. Manchester City on the other hand, are in unfamiliar territory. It's their first foray into the semi finals of Europe's biggest club competitions and it's a massive occasion for them. They will certainly miss David Silva's creativity, but with Aguero, De Bruyne and Sterling, they still have enough attacking talent to really cause problems for Los Merengues. The biggest key for Man City however, is the fact that they only need one goal to really make this a tough tie for Real Madrid. City do not need to win, a mere draw with goals will see them through. But 90 minutes at the Bernabéu is a long time and Real Madrid should be able to see this through. Look for Gareth Bale to have a big impact on the game, the Welshman is in fine form and he'll relish yet another opportunity to etch his name into Madrid's history books. Cristiano Ronaldo next game with Real Madrid for the UEFA Champions League is on May 4 of 2016, against Manchester City. You can watch Juventus live stream, Real Madrid vs Man City, Barcelona vs Espanyol, Liverpool vs Villarreal, Sunderland vs Chelsea, and Sevilla vs Shakhtar Donetsk, all matches provided from our football streaming game pages.